Sell by – That’s for the retailer, not for you. It’s about peak quality, like with flavor. It’s for store display and maddeningly, much of this gets tossed – prompting a “dumpster dive” revolution. Wouldn’t it be nice if people didn’t have to relegate themselves to a dumpster to get this perfectly good food? But in the dump it goes first. Guaranteed Fresh – This is mostly the baker’s way of letting you know how long you can enjoy the baked good before it possibly goes stale. It doesn’t mean it’s harmful, but could be stale. The key to keeping storable foods the longest, is cool, dry and airtight. Canned goods included. If you see bulging cans – do not open! It’s rare, but it could be botulism. Bill Nye made this crystal clear to me as a kid. Real Simple and iVillage offer a list of items and a “true” expiration, some lasting for years, but again, take with a grain of salt. Throwing out opened juice after a week in the fridge? No way! Of course if you make your juice yourself, ideally, it should be consumed immediately for best benefits. Whole, natural foods and drinks do not generally last as long as the grocery store – but you knew that! For instance, when I buy homemade bread I know to freeze it, otherwise mold is great indicator I waited one day too long. Lesson learned. Raw honey can last forever and honey and brown sugar indefinitely. Cheese can have a long fridge life too. 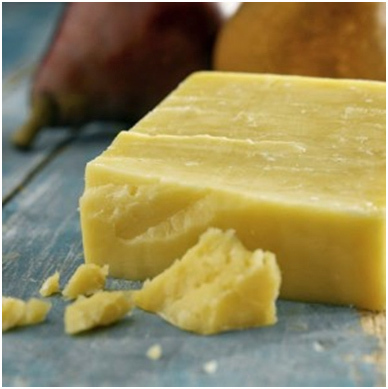 According to one naturopath, Kerrygold cheese from grass fed cows can be bought in bulk at Whole Foods and sit in the fridge for six months – mine is still fine after one month. “A hungry man decides for himself what’s fit to eat, A hungry Mom decides what’s fit to eat for the family” ~ The Prepper’s Wife 2011 Shelflife of Food Items * NOTE: Shelf life info from various sources. Conflicts are researched through multiple resources. Bread, Rolls (commercial) – 3-5 days (frozen 2-3 months) Homemade breads may have shorter shelf life due to lack of preservatives. Butter (refrigerated) – 1-2 weeks (frozen 6-9 months) Wrap or cover tightly. Buttermilk (refrigerated) – 10-14 days Cover tightly. Flavor not affected if buttermilk separates. Chocolate, Premelted – 12 months Keep cool. Chocolate, Semi-sweet – 18-24 months Keep cool. Chocolate, Unsweetened – 18 months Keep cool. Herbal Infusions – Make fresh daily. Store in refrigerator or cool place. Herbal Decoctions – Consume within 48 hours. Store in refrigerator or cool place. Herbal Tinctures, syrups, and essential oils – Keep for several months or years. Store in dark glass bottles in a cool environment away from sunlight. Store syrup in the refrigerator for up to 1 month. We use our best judgment NOT the date stamped on a can or box. !